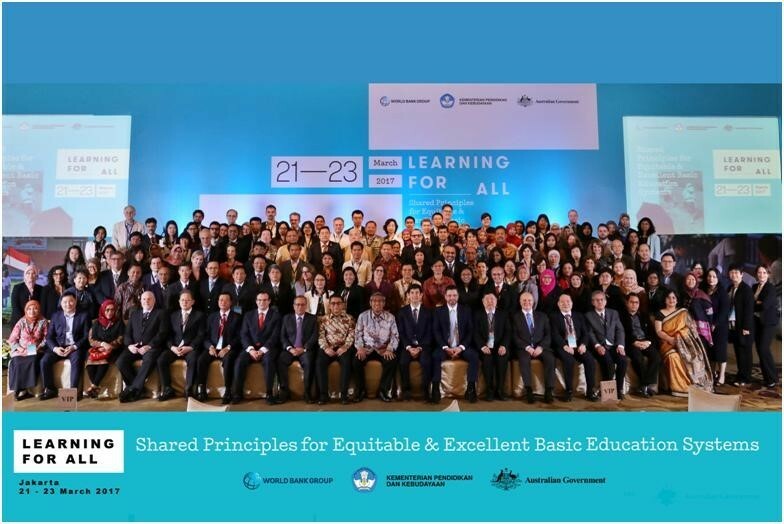 More than 200 participants – including government officials, policymakers and education experts from over 20 countries gathered in Jakarta, Indonesia, for the global conference Learning for All: Shared Principles for Equitable and Excellent Basic Education Systems. The conference addressed themes related to improving learning outcomes for all students, including how to support effective teaching and early childhood development, balancing school autonomy and accountability, and how education systems can build the skills needed for the 21st century. For the host country, Indonesia, the forum provided a valuable chance to look more closely at issues facing its education system. While Indonesia has made considerable progress on access and education funding (with a commitment to allocate 20% of its budget to education), it faces critical challenges including efficiently using resources in a highly decentralized context, investing in early childhood, and needing to boost teacher quality along with learning outcomes. Senior officials from Indonesia’s government ministries shared insights into Indonesia’s current reforms including teacher policies, school operating grants, conditional cash transfer programs, and early childhood development strategies. and are innovating to connect with industry, in order to link education systems to employment. Former and current ministry officials also shared relevant lessons from middle income countries including Peru – which embarked on ambitious system-wide changes to promote equity and quality after placing last on PISA in 2012—and Mexico, which has developed a program to give teachers tools to build the socioemotional skills of adolescents in school. These countries face many of the same challenges as Indonesia and other countries in the region and offered important practical lessons and strategies for participants. Harry Anthony Patrinos, Education Manager, World Bank also shared examples from five reforms across the globe.